It’s so easy to give away the power over the story that dominates our lives by ignoring that there is a story, by thinking that it can never change, or by actively allowing others to dictate that story to us. 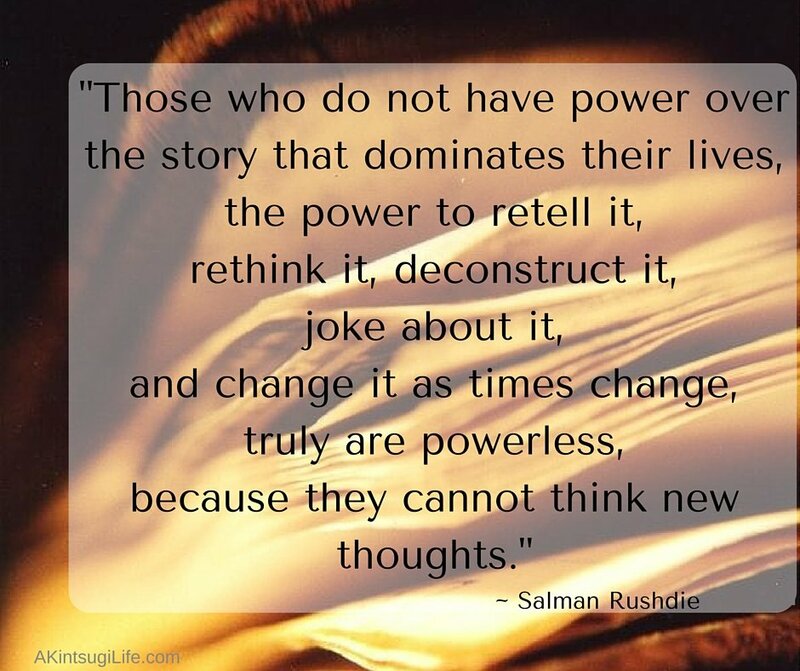 The truth is that we can take back our power over that story at any time. And when we do, it opens the door to so many new possibilities. Claim your story—retell it, rethink it, deconstruct it, joke about it, change it as it needs to change—and see what new thoughts and possibilities result!